The severity of a bee sting will vary from one case to the next, as all people’s bodies react differently to a sting. When treating a bee sting, it’s incredibly important to be aware of the signs of a possible allergic reaction. If someone with a severe bee allergy is stung, call 911 immediately and treat them with an epinephrine autoinjector, if they have one. Remove the stinger as soon as possible using your fingernails, a tweezer or a needle. The venom from the stinger begins entering your body immediately. The faster you can remove the stinger, the better. Ice the affected area or apply a cold compress to relieve pain and reduce swelling. Over-the-counter painkillers such as ibuprofen may be taken to ease pain. Bee stings that do not cause an allergic reaction may lead to some discomfort for a day or two but typically do not require any further treatment. Use hydrocortisone cream or calamine lotion to help relieve the itching, swelling, and redness. Oral antihistamines like Benadryl or Chlor-Trimeton can also be taken for more severe itching and swelling. Cover the area with a bandage to prevent yourself from scratching the sting. Scratching can potentially lead to an infection, if the skin is broken. 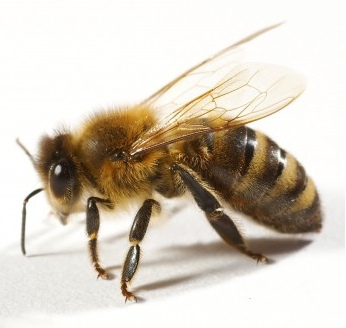 Some people experience a severe allergic reaction to bee stings known as anaphylaxis. This can be a potentially deadly situation, and 911 should be called immediately. If the victim of a bee sting is having trouble breathing, their tongue swells, they feel faint, or they break out into hives, these could be signs of a very serious reaction. Anyone who lives with a severe allergy to bee stings should carry an epinephrine autoinjector with them at all times. This is a needle containing an emergency dose of medication that is injected into the thigh in the event of a bee sting. Medical professionals may also administer a shot of adrenaline to fight the body’s allergic reaction. Oxygen or an IV of cortisone or antihistamines can be applied to help with breathing. 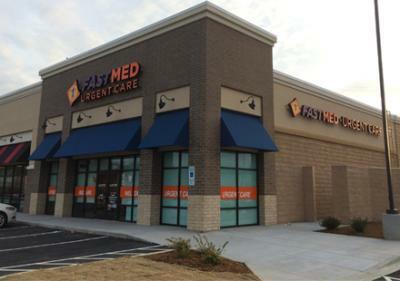 The healthcare providers at FastMed Urgent Care can help treat minor to moderate stings from bees and wasps. Our clinics are open seven days a week and provide on-site lab testing.